Warm up the cool temperatures with this savory broccoli gratin. This recipe works well for large gatherings and well as for small family dinners. The leftovers can be stored in the refrigerator and heated back up in the microwave. It is the perfect blend of creamy cheddar cheese and nutritious broccoli. You will never know the main ingredient is broccoli. Preheat oven to 375 degrees. Combine cheese, bread crumbs and 4 tablespoons of butter in a bowl and set aside. In a large skillet over medium heat, melt 2 tablespoons of butter, add the onions and sugar; Stir often. After about 5 minutes add the broccoli, salt, thyme, pepper and vegetable stock. Cook on medium heat for about 20 minutes. Transfer into a buttered casserole dish. Sprinkle with half of the bread crumb mixture and combine. Add the remaining bread crumb mixture to the top along with 2 tablespoons of butter. Bake until topping is golden, about 20 minutes. 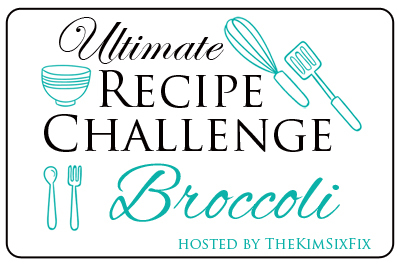 Click on the links below for more broccoli recipes! We have broccoli nearly once a week so I'm always looking for unique ways to serve it. This looks delicious, adding it to our to-try list! That crispy coating.. makes me want to jump right in.. and the flavors sound divine! Yuuummmmy! Will have to try! Our family enjoys broccoli and I'm excited to try it in this new way.